Smart home integration isn’t anything new to most of us, but up until recently only the wealthy could really afford it. The interface designs were also a bit clunky and everything needed to be installed by a specialist. Those days are long gone and the Nests’, Winks’ and Phillips Hues’ have inherited this world. Relatively cheap to buy, easy to use and DIY installation are what’s required in this day and age. Wink has just released a new product called Relay this week and some of you may already be familiar with their Wink app that’s been available for a while. 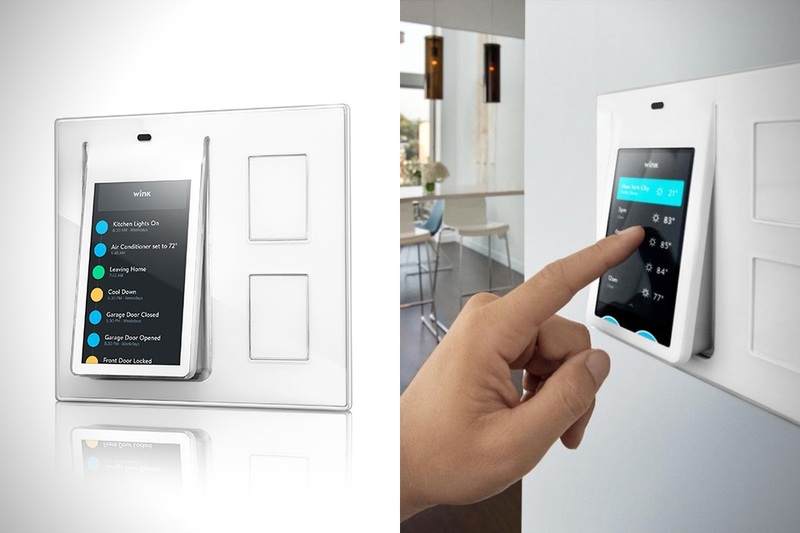 Relay integrates the functionality of the app into a wall mounted device that takes the place of a light switch. One thing to keep in mind when purchasing other IoT devices to connect to Relay. Certain products are either “Wink app ready” or “Wink app compatible” which require the Wink Hub to work with the app. “Wink app ready” will play nice right away as long as you have the app downloaded. Yes, you can still use your phone when away but Relay puts a 4.3” screen and android operating system on the wall. There are two assignable “soft” switches on the right side for lighting or whatever you want to connect them to. The Relay makes for a centralized place that you can command your home from. Relay features a host of sensors that include: temperature, humidity, proximity and sound. The data from the temp and humidity sensors will work with your Nest to keep a better eye on the comfort level inside. There is also a built in microphone and speaker for upcoming intercom functionality. Connectivity is facilitated by either Wi-Fi, Bluetooth or ZigBee antennas. Relay is a wonderful step forward in smart home product integration and operation. A far cry from the days of ultra-expensive home automation systems being your only choice. It begs the question, what is next for the smart home? Apple is cooking up software called HomeKit. Integrated into iOS 8, it will allow manufacturers the ability to integrate their products functions within Apple products. The most exciting feature is the ability to use Siri to turn off a light or lock a door. What the future holds for the smart home is exciting indeed. Kinda makes a home designed by Tony Stark look more affordable.